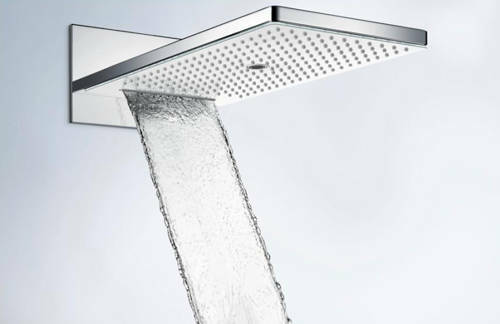 Hansgrohe > Rainmaker Select 580 3 Jet Shower Head (White & Chrome). 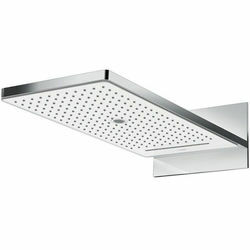 Hansgrohe Rainmaker Select 580 wall mounted rectangular shower head with 3 jets in white and chrome. Rainmaker Select 580 rectangular shower head (3 jets). Spray pattern: Rain, RainFlow, Mono. Operating pressure: min. 1.5 bar to 6 bar maximum. flow rate: Rain 17 l/min at 3 bar. flow rate: Mono 20 l/min at 3 bar. flow rate: flood jet 17 l/min at 3 bar. 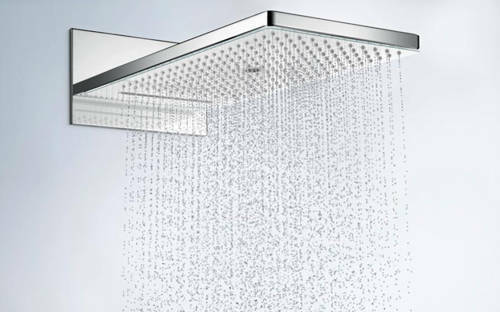 The 3 spray zones must be controlled via 3 valves or a diverter valve with 3 shower outlets. 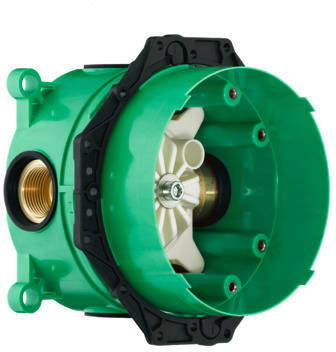 Easy installation: iBox universal basic set ½" and ¾" included. Design: winner of the iF Product Design Award 2015. 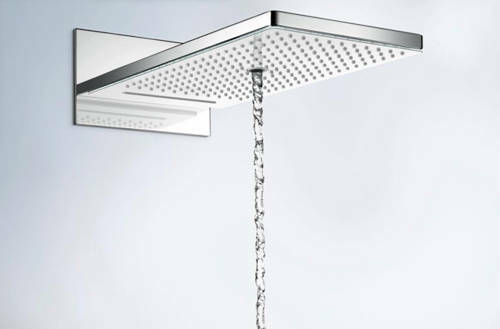 Design: winner of the Reddot Awards 2015.